Locality: United States, Colorado, Pueblo, On north side of Saint Charles River along Burnt Mill Road. 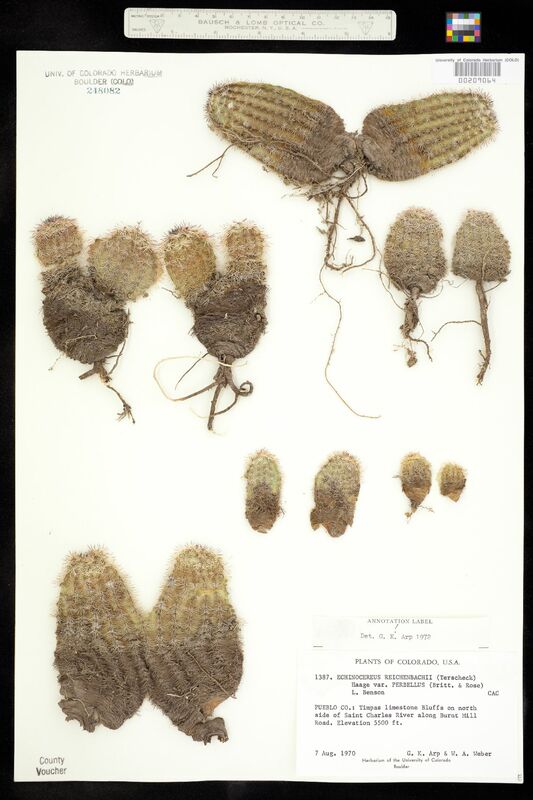 Notes: Echinocereus reichenbachii var. perbellus, det. G.K. Arp 1972.